You have to do a lot manual website optimization and build a lot backlinks to dominate search engines and be on page one with your keyword. While the website optimization is relatively easy to do, building backlinks is not. Well things have changed with GSA Search Engine Ranker. With GSA Search Engine Ranker you will never need to worry about backlinks again. This software can run endlessly and create backlinks for you 7 days a week. Unlike other SEO software it will not need a database of submission sites. It will find new targets for you and submit your webpage to them without asking for your input. But the software doesn’t stop there. It will also verify website submissions, making sure that the link really exists. After some time you will see all the build backlinks with all attributes like the anchor text, number of incoming and outgoing links, type of backlink (dofollow or nofollow). With this SEO software, you don’t need to worry about anything again. The software will build backlinks for you and will of course do it on your ruleset like only submit to high page rank websites or skip the submission on sites with too many outgoing links. This search engine optimization tool can be extended to almost any submission tool supporting any website submission you like by a simple script engine. You are not limited to submit one website at a time. You can define as many projects as you want and all get submitted at the same time. 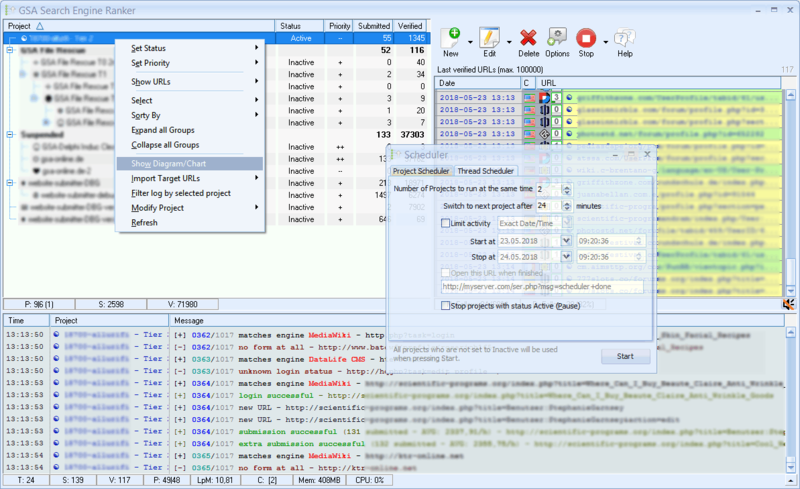 Fast HTML Checker An advanced tool to find HTML5 and CSS errors on web sites. It begins checking from the starting page and goes through all pages one by one until it checks all pages on the site.